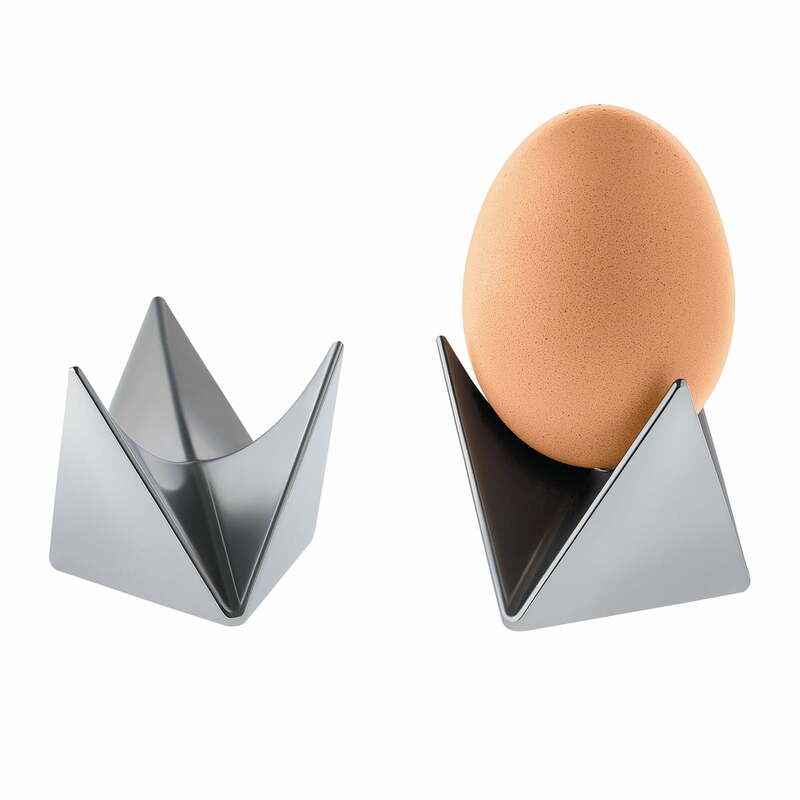 Alessi presents Roost the eggcup by Adam Goodrum, allowing you to enjoy an egg for breakfast every day. The cup made of aluminium convinces with its unusual design since it consists of two identical halves that come together to form an interesting sculpture. Two boiled eggs can thus be placed in each half. 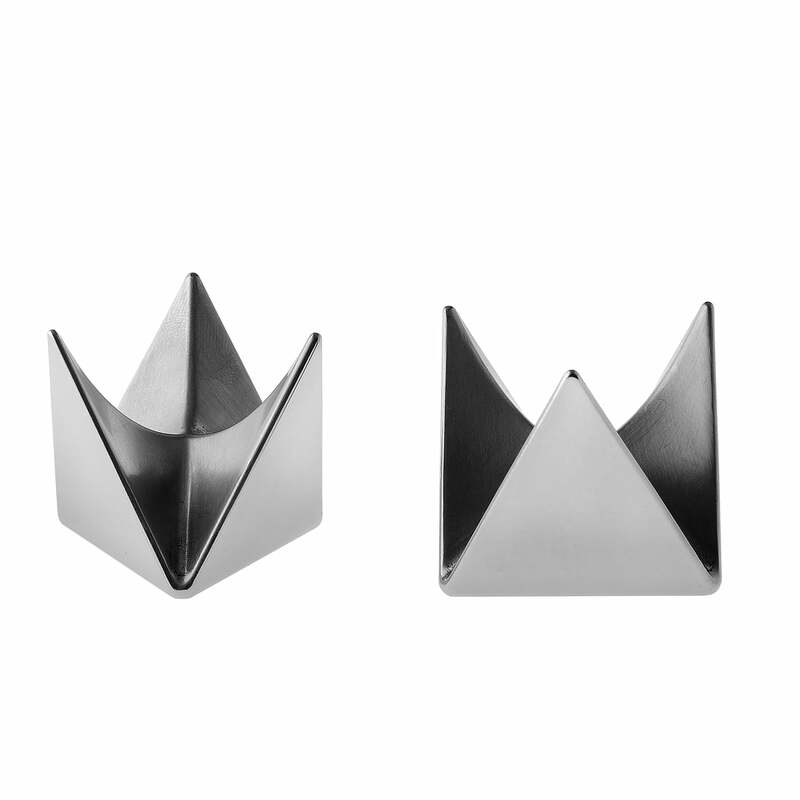 The sides of both egg cups feature three standing triangles, which flow inwards into three curved lines. They adapt to the shape of the egg, holding it in place perfectly. The three triangles of the one half fit perfectly into the three triangles of the other half. As a sculptural object, it is in no way revealed that the halves are made up of two egg cups. Curious people will be surprised when lifting up the upper half. This idea by the designer Adam Goodrum was inspired by a childhood memory, when opening the egg in the morning was always a surprise. The sides of both egg cups consist of three standing triangles, which flow inwards into three curved lines. They adapt to the shape of the egg, holding it in place perfectly. The three triangles of the one half fit perfectly into the three triangles of the other half. As a sculptural object, it is in no way revealed that the halves are made up of two egg cups. 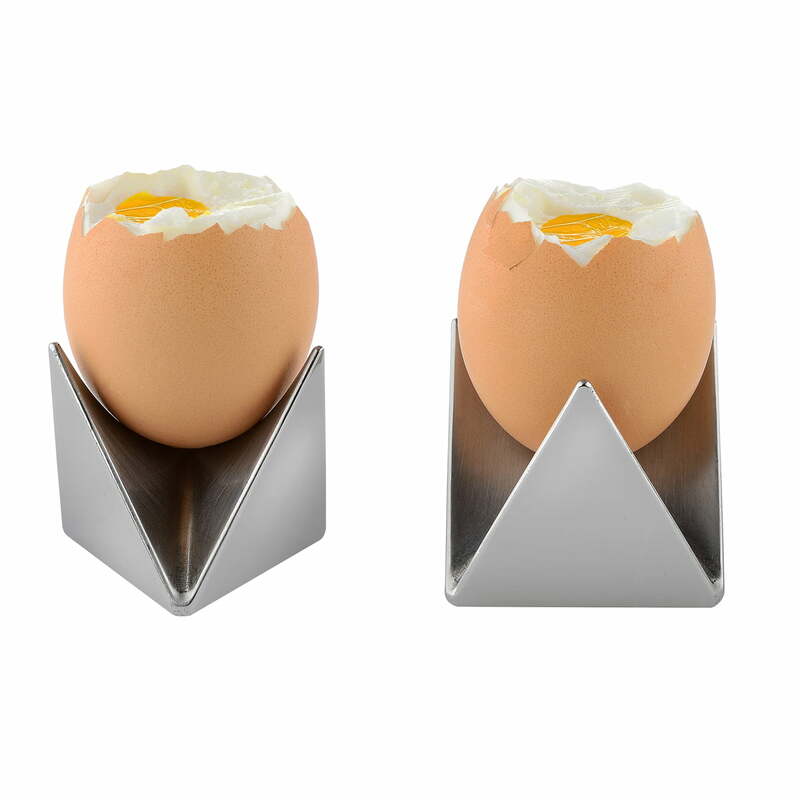 Alessi presents Roost the eggcup by Adam Goodrum, allowing you to enjoy an egg for breakfast every day. The cup made of aluminium convinces with its unusual design since it consists of two identical halves that come together to form an interesting sculpture.